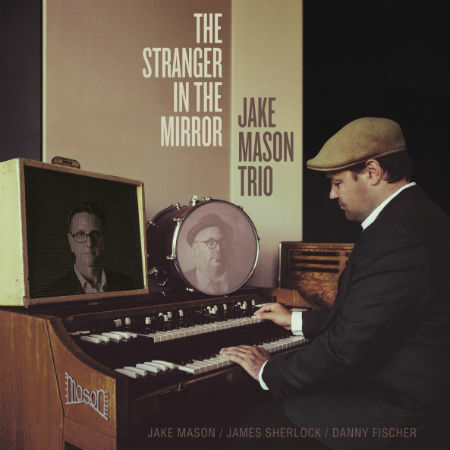 “The Stranger in the Mirror” is the debut album from the Jake Mason Trio. Stepping out from the drivers seat of Aussie funk & soul outfit Cookin’ On 3 Burners, multi-instrumentalist and prolific song-writer Jake Mason dives firmly into the 60s organ trio sound, making a record that is both delicate and fiery. Featuring James Sherlock (on guitar) and Danny Fischer (drums) the trio weave their way through bluesy soul-jazz, blazing vigour and soundtrack-esque territory. “I love the place where Jazz and Soul meets” says Mason. “It has a simplicity that is so warm and welcoming combined with a complexity that is exciting and makes you move”. “The Stranger In The Mirror” boasts ten elegantly crafted original compositions including co-writes with Eric McCusker (Mondo Rock) and Ben Grayson. Recorded on the east side of Melbourne, the trio captured the moment in the tradition of the classic Jazz recordings on labels such as Prestige and Blue Note playing live in the room, using vintage recording techniques and adding a pinch of modern inspiration. The result is a dynamic sound that has space and transparency but with just the right amount of grit and crunch. While this is the first official recording of the trio, Mason, Sherlock and Fischer are no strangers, having played together for over 20 years in many guises; Melbourne – a melting pot for great music and culture. Jake Mason is a stylistic chameleon who has been nominated for multiple APRA awards and the coveted ARIA song of the year. He co-wrote and co-produced the Kungs Vs Cookin’ On 3 Burners chart topper “This Girl”, hitting the #1 spot in 10 countries and reaching the Top 10 in 37 territories. “This Girl” was also the #1 Shazammed dance song of 2016 worldwide.